My name is Vetal and I am the CEO and talent coordinator of Rewire Records. I handle day to day operations and talent relations, whether that be acquiring new artists or staying in contact with current ones. 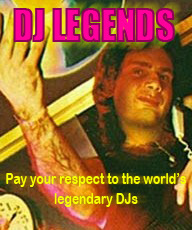 I was a DJ for 10 years before I tarted to produce music. After a few years of producing, I started Rewire Records to give other artists a shot too. To give a voice to the producers that didn’t have one. 2. Who are some of the artists you have taken under your wing? Our artists are multinational, each with their own style. We have “Kissteria” in Great Britain. A young producer that started at the age of 14. Now at the age of 17 his piano melodies and Dutch sounds bring out the dirty in each track. We have “Tyler Ace” in Belgium. A multitalented producer that originally started with trance and made his way to house. Some of his latest tracks were even played at the world famous Tomorrowland Festival in Belgium. One of our U.S. producers is a close friend of mine, “Mike Pak.” Another talented producer that started off young. Playing around with music production since the age of 12, he now has a personal sound that can be recognized all around Chicago. With all the international producers on this compilation, Rewire Records doesn't forget to represent the rising star from U.S. - Mike Pak. This U.S. producer is influenced by the dutch sounds and progressive melodies. Each one of his hits is different from the other so he is someone to always look out for. Enjoy! We receive about 2-3 demos per day. 4. Do you go through them by yourself or are there more people involved? I go through them all by myself. Each one takes a considerable amount of time depending on whether or not I like the track(s) being sent over and looking into the artist’s background. 5. How much time do you spend daily on going through new music? On top of receiving demos, I also search for new artists on places such as soundcloud. This takes a few hours each day. concentration before the need to take a break and just turn off everything. Listen to the tune produced by the Rewire label head himself! This one is all about progressive house and beautiful vocals by Lizzy Tremaine! With EDM music starting to sound more and more alike each day, I look for certain aspects that stand out. Just another catchy piano melody isn’t going to cut it now when everybody is doing the same thing. I look for exciting track ideas and drops. I look for a sound that stands out, a melody that drives a crowd, and a drop that will destroy a dance floor. Ultimately, when I listen to demos, I imagine if it is has potential to be played in front of 70,000 people. 1.) Introduce yourself! At the very least write a short message saying who you are. 2.) Include a short biography. 3.) Make the demo(s) readily available. A quick link to stream the demo is the best way to go. 4.) Thank the listener for their time. You are not the only one sending in a demo. This shows that you are considerate and can be humble. 5.) Include contact info or links to social media sites. (facebook, soundcloud, twitter, personal website). 1.) Don’t just send a link and nothing else. That’s a quick way to have your demos overlooked. It shows lack of effort. 2.) Don’t send 10 tracks all in 1 email. Send your best 2 at the most. If you also include links to your social media, chances are the other tracks will be heard too. 3.) Don’t sound unprofessional using words such as “bro” and “man” at the end of sentences. 4.) Don’t write too much along with the demo. Keep the introduction and biography short and sweet. Get to the point quick. 5.) Don’t get discouraged if you are not signed. If everything was easy, it wouldn’t be worth doing. Check out the teaser for 'Heavy Goods' by Axel Sels! Digital is better. Everything we receive is digital. It is the best and fastest way to communicate with artists globally and instantly. Completely correctly, not many. I still listen to it though because the track could possibly be really good. I let the music speak for itself. I look extensively into their musical background. I listen to their other songs and look for a consistent trend of quality music. I look into their social media and see how active they are. I check out how many followers they have and what sort of musical accomplishments they have. All of these things are factors to getting signed and starting a good business relationship so both parties profit from a release. 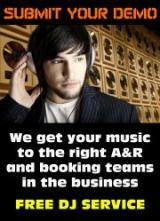 We sign about 1-2 artists a month depending on the project at hand. Sometimes we want more artists for a compilation album or just a few artists to release singles for. Thank you for taking the time! We wish all the best to Rewire Records! Everybody interested in getting their demo heard, use the aboveseen guidelines to submit a demo to [email protected]. Also, don't forget to visit the official site and Facebook page. For music updates head over to Soundcloud and Twitter!